“The great migration to EMV”, this is the new campaign launched in the Kenya plastic money industry. 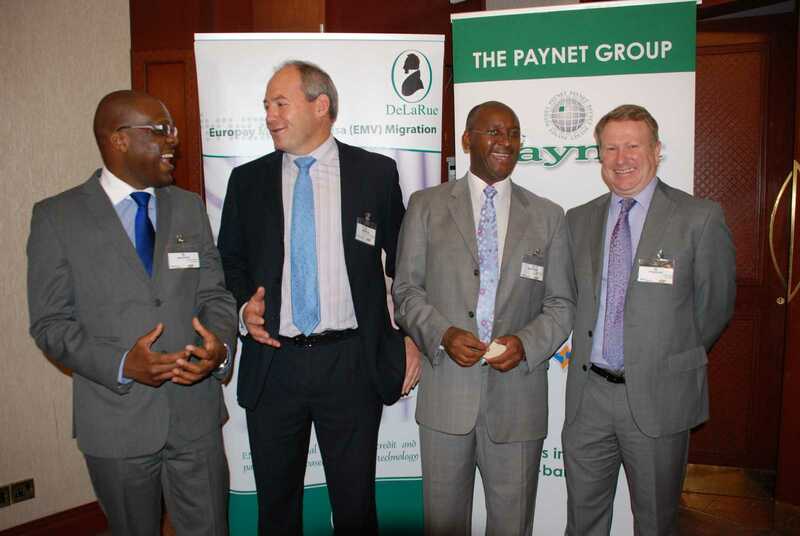 Industry stakeholders including MasterCard, regional card processor Paynet and global security printer De La Rue came together this week for the launch of this initiative. The objective is to encourage Kenyan banks to phase out the old magnetic stripe cards. In their place, customers are to be issued with chip and pin cards which provide high security and multifunction. Banks in the East African region have incurred losses of over Ksh 4.06 billion between 2011 to the first quarter of 2012. This comes from a recent report prepared by Deloitte. Card fraud increases the risk of loss in the financial industry every day. According to the Central Bank of Kenya data, the number of debit cards issued had grown nearly 15 per cent to 8.1 million cards. The first half of 2012 also witnessed a rise in card payments by 83 per cent to Ksh386.6 billion. There is a rising preference for plastic money payments in the region which makes for an attractive prospect to cyber fraudsters. The campaign by card networks and technology providers in the region is the first joint effort of its kind to respond to the heavy losses incurred by banks and merchants through card fraud in the country. Although the technology is new to East Africa, Stakeholders told bankers that the right investments were in place to ensure a cost-effective migration to chip and pin cards by banks. Paynet, for instance, has a fully functional Visa and MasterCard chip and pin card issuing and processing platform which offer banks a seamless and low cost way to upgrade old cards issued to customers. De La Rue has advertised local capacity to provide chip and pin card personalization services for banks. The two joined international card payment association Europay, MasterCard and Visa (EMV) in championing the new card platform in the region. “From an analysis of global trends, the region is lagging behind and along the way missing on an opportunity for continental leadership,” said MasterCard East Africa’s James Wainaina. Nearly 70% of Europe’s financial institutions and merchants have migrated to EMV chip and pin platforms while the Americas are fast taking up EMV chip and pin technology. Magnetic stripe cards have been in use in East Africa by banks and merchants for nearly 20 years. The cards however carry the risk of being skimmed and counterfeited. This happens when a card is swiped through a magnetic stripe reader to record the information needed to use the card for payment. The stolen data can be written to another magnetic stripe card effectively creating a duplicate. This can be used to make a fraudulent purchase at an unsuspecting merchant. “The new cards use a microprocessor installed in a chip embedded on the cards. This contains coded information needed to authorize payment through a multitude of protection features that makes it significantly more secure than a traditional magnetic stripe card,” said Scott Atkins, Head of Sales at De La Rue. The stakeholders disclosed that international card networks Visa and MasterCard had already instituted “structural measures” to motivate banks and merchants in the region to migrate to the more secure platform. The fraud liability shift structures will adversely affect banks that hold on to the weak security magnetic stripe cards. “This is one way that card providers are sending the message out. The industry is coming together to urge the region to move to this more secure card platform to enjoy benefits of a much secure payments space,” said Mr. Matthewman.